BRIGANTINE, N.J. (WPVI) -- Atlantic City police are looking for a man and a woman from Brigantine following the seizure of more than $150,000 in drugs last week. Police said on January 2 search warrants were conducted at a home in the 4900 block of Harbour Beach Boulevard in Brigantine, NJ and a car registered to one of the suspects, Chris McLean. As a result of the warrants, detectives said they recovered 6,400 individual bags of heroin, 210 grams of cocaine and paraphernalia used for the purpose of distributing narcotics. 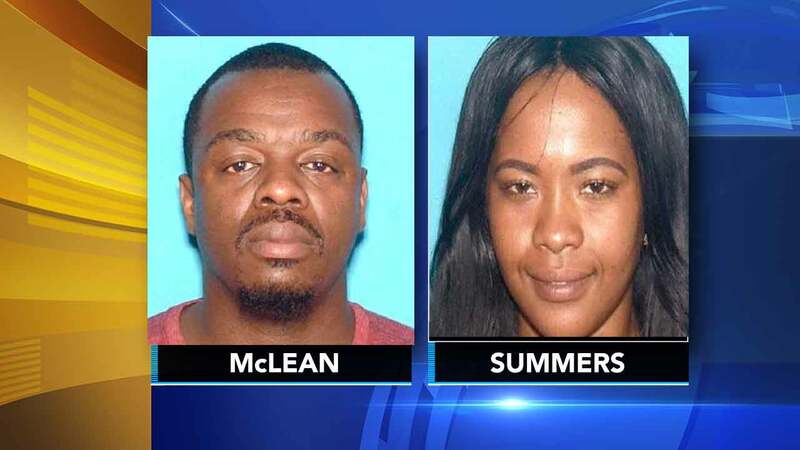 Police said McLean, 41, of Brigantine, and his alleged co-conspirator, Chanell Summers, 26, of Brigantine, are currently wanted in connection with the recovery. Anyone with information about the whereabouts of McLean or Summers is urged to contact the Atlantic City Police Department Special Investigations Section at 609-347-5858 or FBI Atlantic City Resident Agency at 609-677-6400. Information can be text to tip411 (847411). Begin the text with ACPD. All texts are anonymous.